It’s commonly assumed that marquee weddings are inherently considerably more expensive options than traditional indoor venue weddings. In reality, however, this isn’t necessarily the case at all as just in the same way that indoor weddings can be spectacularly expensive; marquee weddings can also be surprisingly affordable. According to the experts , there is an extraordinary degree of flexibility when it comes to how much anyone can expect to spend on a marquee wedding. Well, it’s certainly possible to spend a small fortune if this is what you want to do, but there are also various ways and means by which costs can be kept to absolute minimums. In fact, it is usually possible to plan an extraordinary marquee wedding for a considerably lower price than a comparable indoor wedding. First of all, it should come as no real surprise to learn that the time of year you choose for the marquee wedding will almost always make the biggest difference to its overall cost. 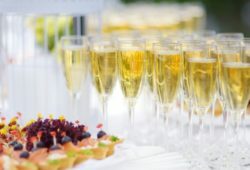 If for example you are planning to host the event right in the middle of summer or on a bank holiday, it is inevitable that you are going to end up paying considerably more than if the same event was to be held on a weekday in the middle of winter. It’s worth remembering that a few weeks or even just a few days in either direction can make an absolutely enormous difference when it comes to the costs of hiring wedding marquees and all associated services. 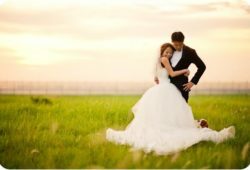 In a similar vein, it is also good idea to ensure that whenever you would prefer your wedding to be, you need to begin making the required reservations as far in advance as possible. 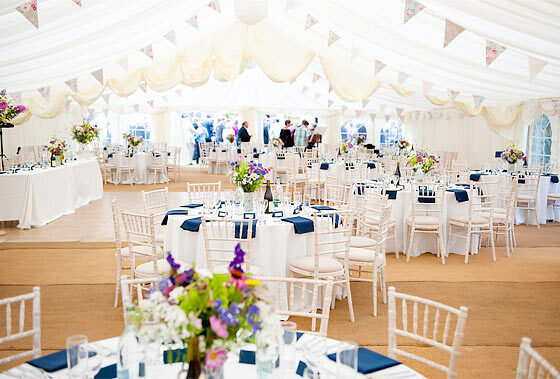 Just as is the case with every other essential service you will require, the very best deals on marquee weddings can be accessed by booking ahead. The further in advance you book, the more likely you are to gain access to the very best deals of all – it’s never too early to start looking and set the ball rolling. The size of the marquee you choose for your wedding will also significantly impact how much you can expect to pay for it. As such, it really doesn’t make a great deal of sense to book a marquee that is considerably larger than you need. Not only will it cost you considerably more, but it will also make it look like half of your invited guests didn’t show up – it will look and feel rather empty to say the least. As such, while it is not necessarily a good idea to book a marquee that is likely to be too small, it also isn’t advisable to go over the top with an overly large marquee. If possible, try to work with a provider that offers all-inclusive deals. 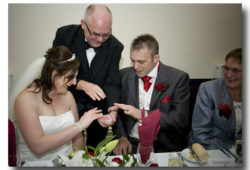 There are two reasons for this – the first of which being the fact that trying to juggle half a dozen different providers for things like catering, equipment hire, marquee hire and so on can make planning the wedding as a whole exponentially more difficult than it needs to be. Secondly, to work with a single provider capable of covering all bases is to gain access to the kinds of special deals that could potentially save you a small fortune. Something else to remember when it comes to making essential savings is that it doesn’t say anywhere that your wedding menu has to be excessively complicated or elaborate. Quite to the contrary in fact, you might find that your guests respond most favourably to beautiful examples of simple comfort foods than they would the kind of fine dining that’s more about showing off than providing sustenance. It’s not to say that you cannot make sure everything is beautifully presented and delicious, but you really don’t have to get carried away with the posh nosh. Last but not least, try to remember that if you will personally be organising and paying for things like transportation and accommodation for your guests, you might want to think about choosing the most convenient location possible. The simple fact of the matter is that the more difficult it is for people to get to and from your chosen venue, the more expensive it is going to be to sort them all out. Not only this, but if it is nothing short of a nightmare to get to and from in the first place, there’s always the chance they simply won’t bother turning up at all!